Cycle Chic®: Portraits of cyclists: Cecilia - "I like colors and cute little cupcakes"
Portraits of cyclists: Cecilia - "I like colors and cute little cupcakes"
"I feel good when I'm riding my bicycle". 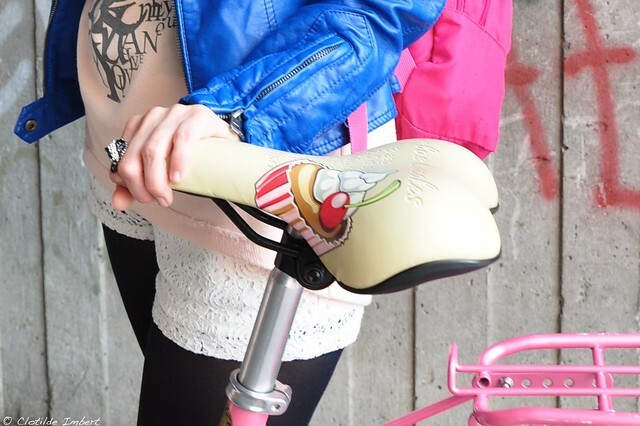 "Is it important for you to have a customized bicycle? Does it suit you?" "Yes, it suits me perfectly. I like colors and cute little cupcakes".